Annie can always count on spending summers at her grandparents'. This summer should be even better because Mama is going to have a baby soon. Before Daddy leaves for his Air Force assignment, he gives Annie a journal for summer memories. But now Annie is grieving over the death of her newborn sister. How can she tell Daddy that ever since the baby died, Mama has been slipping away? If Annie wrote those words, Mama might stay that way forever. The only comfort Annie finds is in holding a stone she calls her "rock baby." Then Annie secretly befriends a mysterious woman. She helps Annie accept her loss while Annie hopes to draw her back into the community. But all that is interrupted when a crisis reveals their unlikely alliance and leads to a surprising turn of events. EDITH M. HEMINGWAY, like her character Annie Winters, grew up in Florida and spent part of every summer at her grandparents' home in the North Carolina mountains. Blackberry picking on nearby Tater Hill was one of her favorite activities. When she's not writing or teaching creative writing workshops, she enjoys kayaking with her family and learning to play the mountain dulcimer (or the hog fiddle, as Annie calls it). 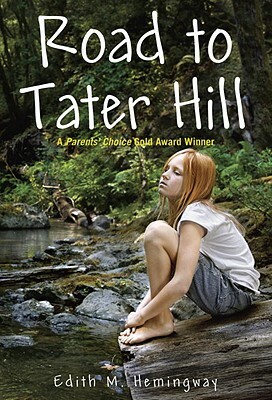 Road to Tater Hill is her first “solo” novel.